Last weekend I had a chance to play with paper and scissors for three days. That's right- THREE WHOLE DAYS! It was heaven. Working full-time now has really played havoc with my creative time and this weekend was long overdue. Uninterrupted time with good friends, good food and good supplies- what more could a girl ask for? Finally, a chance to get inky with the Distress Oxide ink pads that everyone is so crazy over. They are really, really fun! 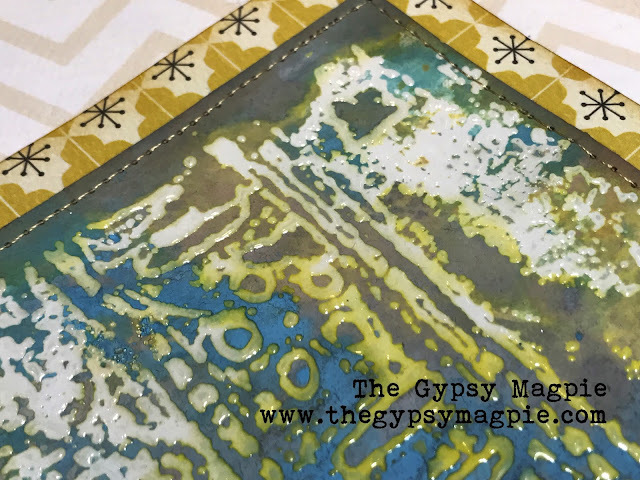 Here I used my gigantic Big Fabric stamp from Tammy Tutterow with some clear embossing to create a resist for the inks. It worked beautifully! I loved how one single stamp covered the entire page at once. The excess ink wiped right off the glossy clear image of the lace. This was such a fun way to make a background! 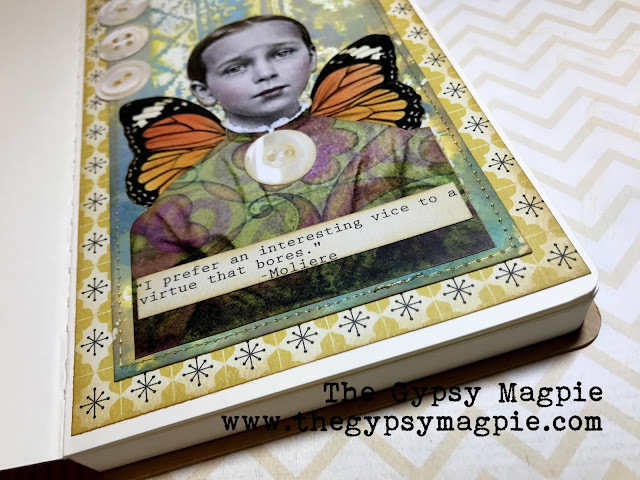 With a brand spanking new journal to fill, I wasted no time in getting a little collage going inside. 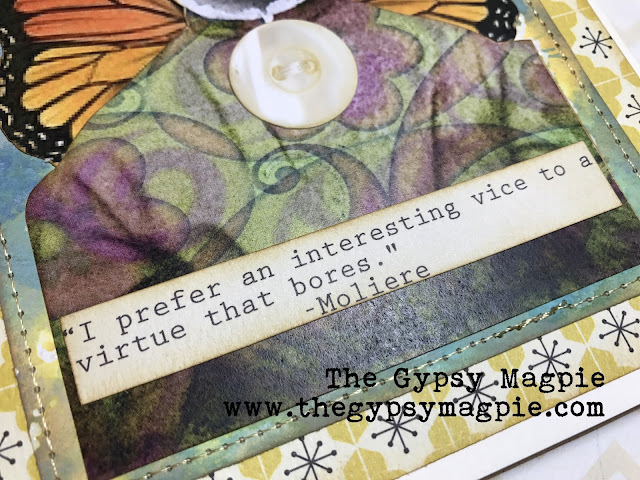 Really, who doesn't prefer an interesting vice to a virtue that bores?? 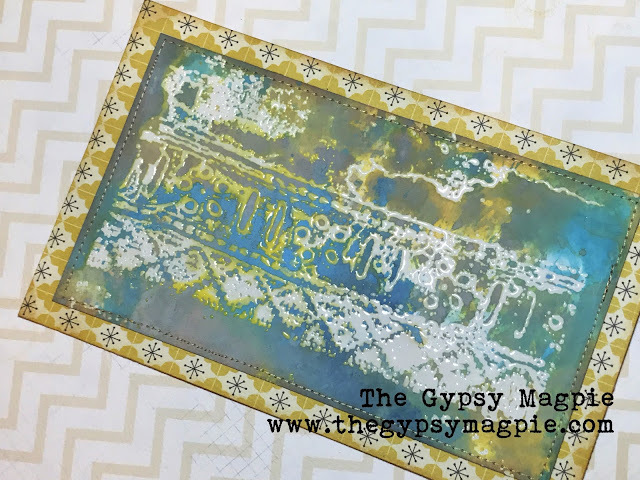 Love this background stamp with Distress Oxides! 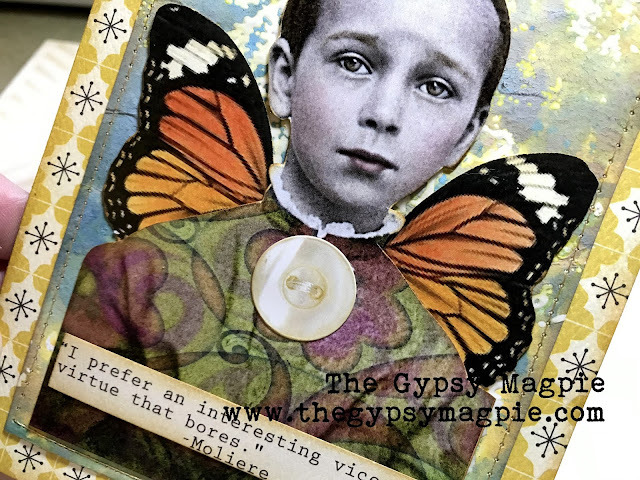 The collage is fabby! Wow, love this technique, Terri. So pretty!